A few months ago, one of the many travel blogs I follow alerted their readers to a sale on some unusual routes for Virgin/Delta codeshare flights. One of the destinations was Austin, Texas – a city Husband has visited many times for work but never as a tourist – so I spent the evening playing about with flight options. Unfortunately, we took too long thinking about it and the flights disappeared at midnight (very Cinderella). We berated ourselves for not being more spontaneous, and I set up an alert on Google Flights just in case they appeared again. And a few weeks later, they did – this time, we didn’t wait and snapped them up immediately. Heathrow to Atlanta on an A330 followed by Atlanta to Austin on an A321. 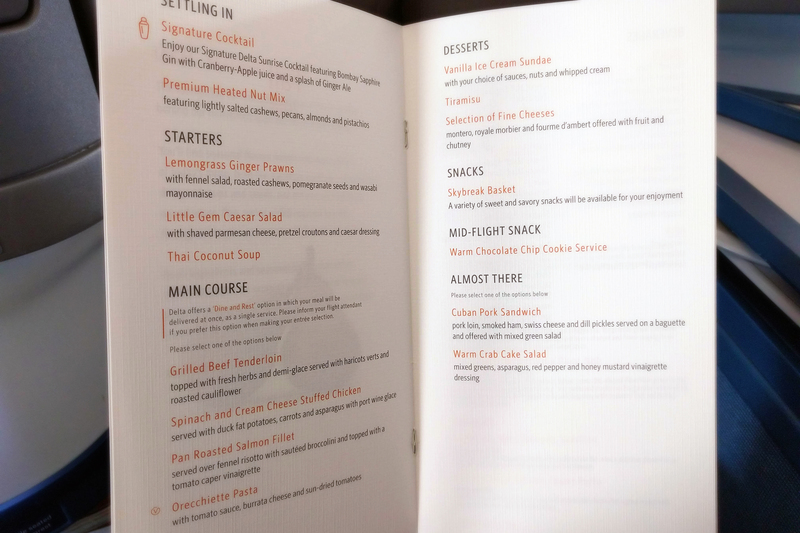 Whilst I was excited about visiting Texas for the first time, I was equally excited about visiting the Virgin Atlantic Clubhouse in LHR again. When I visited for the first time last year, we’d had a bit of a stressful morning, so I had planned to get there earlier to take full advantage of the facilities this time. Sadly, it was still not meant to be – the traffic was horrendous and that ridiculous private security lane in the Upper Class Wing took forever once again. People in that queue simply do not understand how to go through airport security. Once we got to the lounge, we only had about 45 minutes there, which was not enough time to get a spa treatment. Boo. The bedding – the seats have seen better days, and it felt really weird not having an armrest on one side (we were in 2C and 2G which were open to the aisle) but the bedding by Westin was amazing. The pillow was the softest pillow I’ve ever slept on, and the blanket was the perfect thickness. I slept so well on both the international flights – I really wish I could have stolen the bedding. The staff – the Purser on the LHR-ATL leg of the journey was amazing. He had the perfect level of care for us – referring to us by name when checking our meal preference, making sure we had everything we needed but also giving us plenty of space to nap and watch films. We didn’t feel harassed or ignored. It was exemplary. The amenity kits – Kiehls products, cute socks, and mouthwash. Hell yes! Why do other airlines not offer mouthwash!? It was a shame we got the soft Tumi bag going out to the US – you can get the hard case monogrammed free at Tumi stores and there happened to be a Tumi near our hotel that we could have visited. Never mind. We haven’t done an indirect flight to the US for a while, but we gave ourselves plenty of layover time in ATL as I have read that it’s a nightmare to get through. However, immigration for us was a breeze as we now have Global Entry so we sailed through in record time, collected our bags, re-checked them, and were sat comfortably in the Sky Club by gate A16 in no time. There are a lot of Sky Club lounges in Atlanta, so I did a bit of Googling to find out which to visit (the best report I found was on pointsmd.com) and A16 came out tops for us on the way out. We had popcorn, plenty of coffee, and big windows to sit by to watch the rain whilst waiting for our flight to be called. It was not Clubhouse standards, but still a welcome spot of calm in an otherwise manic Atlanta Airport, and I’m very grateful for it. We even had time to explore underneath the concourses and see the wonderful Flight Paths installation between terminals A and B. What a lovely thing to have in an airport! The two internal flights from Atlanta to Austin were unremarkable. We were lucky to have much newer planes for both trips although they were still insanely noisy, and we didn’t get any cabin service because of turbulence (which honestly didn’t feel that turbulent). I don’t think we were missing much though – they were short flights, and I mostly slept. The main thing bringing us glee was that we were in seats 1A and 1B. Because we are nerds. We flew back to Heathrow from the International Terminal in Atlanta so visited the Sky Club there. It was small, with very similar food choices as in A16 and a very… active bar crowd. It was raining very heavily, so the outdoor space was closed – from what I’ve read, the outdoor space is what makes this lounge unique so it was a shame to miss out. There were showers at the back of the lounge, and if we’d have had a little more time, I would have taken advantage (it took forever to get to the correct gate when we flew in from Austin which eat into our layover time). The other passengers astonished me in this lounge though – we had screaming drunks, loud Instagram Stories vloggers, and parents allowing their children to smear food all over the place. I’ve never seen anything like it! Atlanta back to Heathrow was a very similar experience again, except the toilets were somehow worse and Husband’s seat hadn’t been cleaned properly so he found a crusty old sock waiting for him before he sat down (eww). However, the flight attendants called us by our names again, and still provided the same excellent level of service so we could look over the negatives. 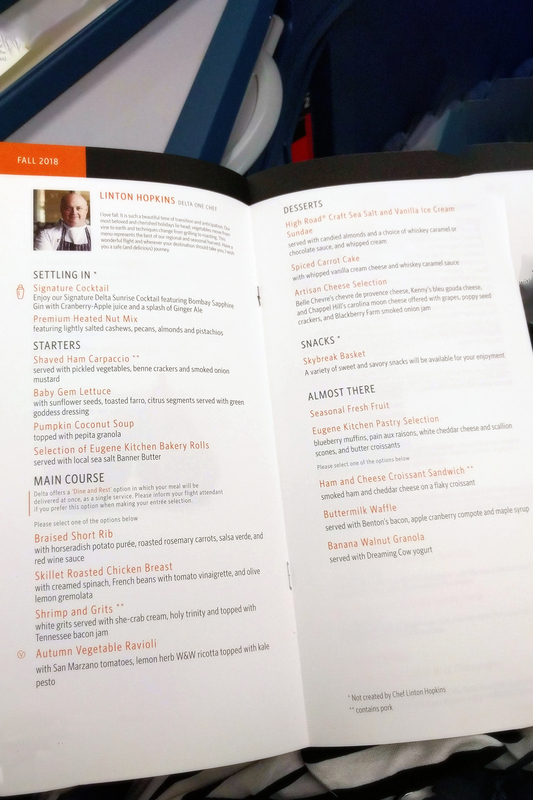 The food on both flights was good, but I’m not really a foodie person so I skipped a couple of the courses as I preferred getting some nap time. Something I wasn’t particularly comfortable with was the biometric boarding used at the gate in Atlanta. I know I’m fussy with my data, but no one explained to us why we were having our photo taken or how it was going to be processed. I only found out afterwards what it was, and not once did anyone explain that we could opt out. I don’t really understand when we actually opted in! It was a perfectly decent flight, but I don’t think we’d choose to fly Delta Business on the A330 again as they’re too old and noisy. I’d love to try the new suites on the A350 or 777 but I’m not sure if any of them currently go from the UK. That said, if a good deal pops up again, I could easily be tempted. Only this time, I’m going to get to the Virgin Atlantic Clubhouse the night before. Just in case.